In July 2012 Kobo made their first foray into Italy by launching their digital bookstore and a distribution agreement with the Mondadori Group, Italy’s leading retailer, and publisher of books and magazines. 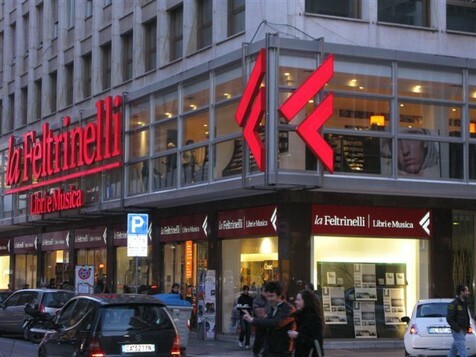 Today, Kobo is expanding further into the Italian market by signing a new agreement with Feltrinelli, Italy’s largest bookstore chain. Starting October 15, Feltrinelli will offer the Kobo Touch, Kobo Glo, Kobo Aura, and Kobo Aura HD E Ink eReaders. The much-anticipated Kobo 7 HD tablet designed for Readers will be available in-store in late October. Customers will also be able to buy eBooks directly from Kobo’s Italian website. The Italian eBook market is growing and it is estimated that over 40,000 titles are available. Tablets seem to be the most popular with over 50% of the reading population owning one and e-readers themselves account for 30%. The four major publishers in Italy control around 60% of the market, but have not digitized the majority of their catalogs yet.